BIG NEWS – New Blends! Over the last six years we’ve been super proud to offer a range of signature blends like Jailbreak, Blake and Jabberwocky and over that time Jailbreak, has had 36 iterations, each one delivering a balanced, sweet and clean cup profile. 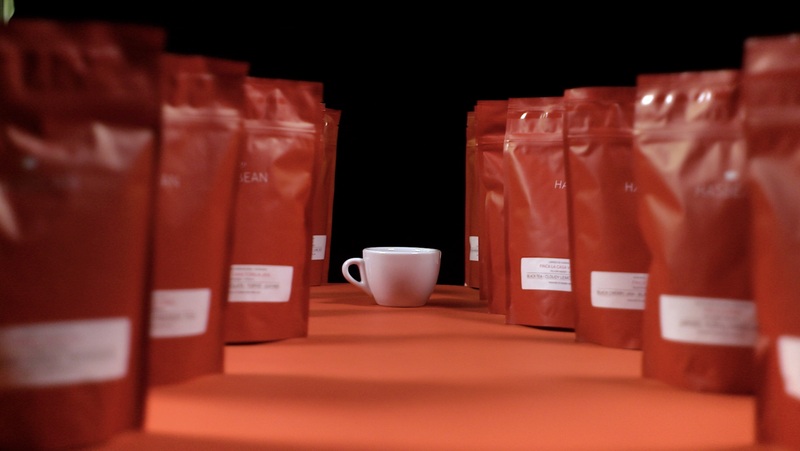 Blends allow you consistent quality, with a taste profile you expect… even as coffees change from season to season and the range of blends we offer has expanded over the years as we’ve had new ideas, goals or coffees to shout about. Now, it’s time to talk about the next big change. A change that celebrates seasonality and the finite nature of the coffees we buy whilst keeping that same consistency. Blends in the ‘Red’ profile will be focussed on balance, sweetness and cleanliness. This will be replacing the infamous Jailbreak Blend. A consistent easy to work with tasty sweet smooth balanced espresso. The ‘Black’ profile celebrates a heavier, natural process led espresso. Think dried fruit, dark chocolate and rich mouthfeel. This will sit in the Blake / Breakfast bomb seat. Filling all the needs of these two blends in one balanced super blend. The ‘White’ profile is bright fruit, balanced acidity, clarity and vibrancy. This will sit in the Jabberwocky / Kicker seat – zingy and a little more challenging to work with than Red or Black, but full of amazing results when you get it right. Alongside these three regular profiles, will sit a fourth unique blend. This fourth blend will be a chance to explore and experiment, celebrating something specific and outside the box for a limited time only. This will sit across many of the previous blends every time it changes, but expect the unexpected. Every month one blend will be replaced, so each one will only be available for around three months. Three consistent profiles and a wildcard. We’ll rotate the change so there will always be something new to taste, but each individual blend will only be available as long as it’s coffees exist. But this change will allow us to put the focus on the impermanent nature of each seasons coffee crop, as well as the skill of blending to deliver on a desirable style through the course of the year. We’re looking forwards to seeing where these changes take us, we would love you to join the ride. Well balanced and easy to work with as espresso, sweetness driven, easy drinking as espresso / milk based / filter. Complex acidity and huge fruit flavours, with a sparkling and clean, sharp finish. We’re also going to take this long overdue opportunity to mix up our starter packs – From now on an espresso starter pack will include the 3 new core blends red, black and white + a delicious single origin at a super value price of just £20 – that’s £5 each. We will also be changing the filter starter packs to four packs of stellar single origins, hand picked by moi, for a score – Lovely jubbly.